NetEnt, the leading digital casino entertainment company, has ‘surfed’ up a spectacular new slot with the launch of Aloha: Cluster Pays. 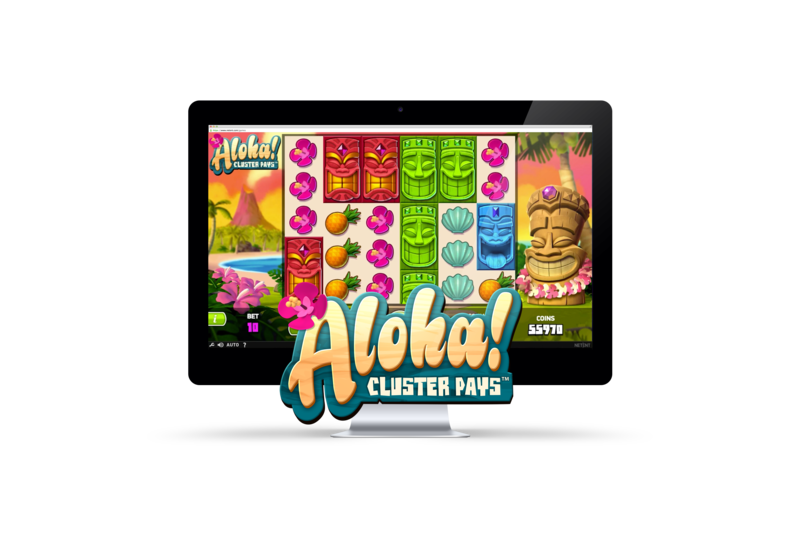 Boasting beautiful graphics based around the sun-kissed beaches and fiery volcanoes of Hawaii, Aloha is the first of NetEnt’s games to feature their unique ‘cluster pays’ mechanic, which gives players the chance to increase payouts by growing the size of their cluster of winning symbols. 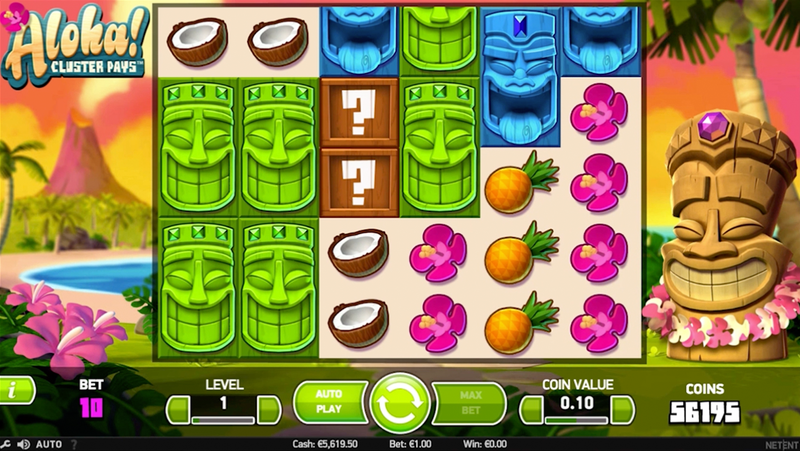 ‘Sticky Win’ re-spins, substitution symbols and symbol drop features will have players riding a wave crest of excitement, while the joyful music and beaming Tiki designs will greet users looking for fun in the sun.